At a simple level, this knot represents the eternal cycle of life, death and rebirth. Our ability to break this eternal cycle permanently depends on following a correct spiritual path. It also represents the union of ourselves with our ultimate higher nature. 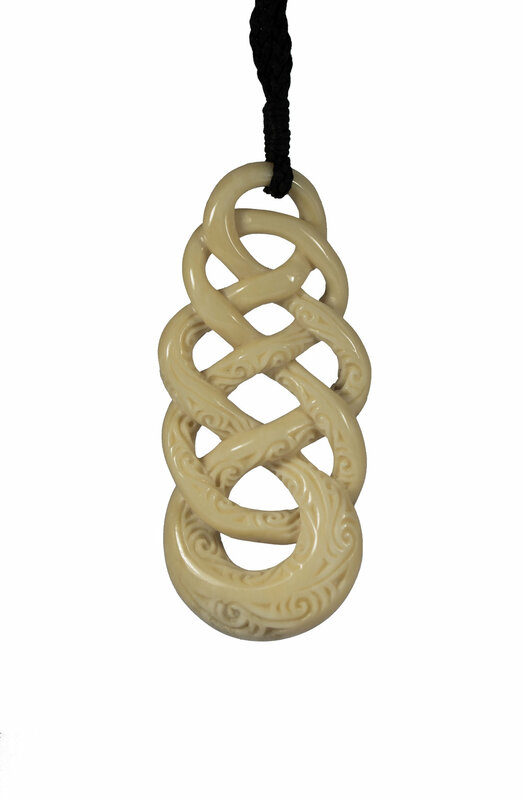 The koru details on the carving represent all the potentials that we carry within our mind. Our mind is full of many potentials and these are waiting for the right conditions to flourish. The Koru represent the unfolding and growth of this potential. 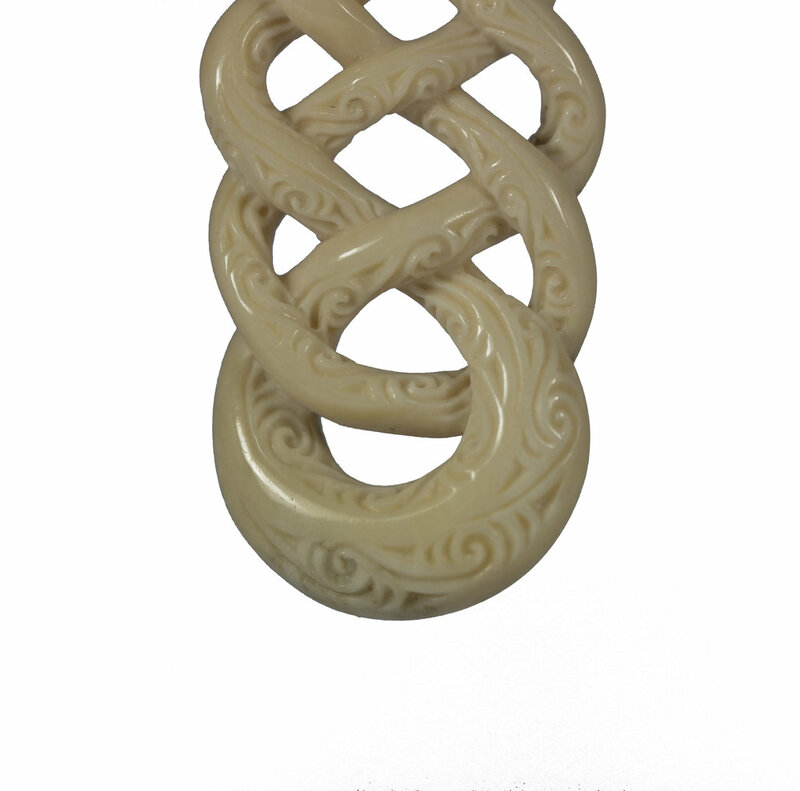 This carving is a Celtic style knot called ‘Eternal Mind’ and represents life, death and rebirth. There are several layers of meaning, however at a simple level the knot represents the eternal cycle of life, death and rebirth. When we realise that this cycle is ongoing and eternal, then we develop the wish to find life’s meaning and this leads us to the path that puts an end to this cycle. This journey that leads us to a state of eternal bliss and peace. Our ability to break this eternal cycle permanently depends on following a correct spiritual path. It also represents the union of ourselves with our ultimate higher nature. 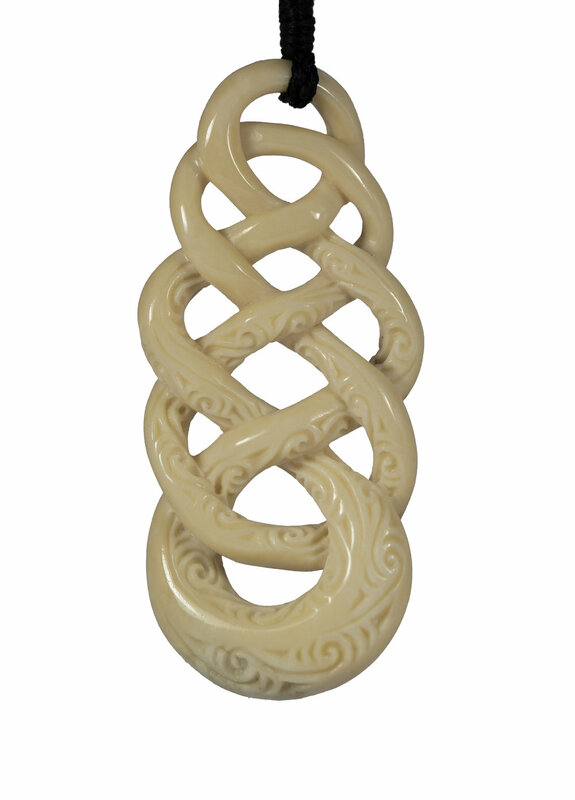 The koru details on the carving represent all the potentials that we carry within our mind. Our mind is full of many potentials and these are waiting for the right conditions to flourish. The Koru represent the unfolding and growth of this potential. The koru symbol is common in New Zealand and is inspired by the unfurling of the new fern fronds. Meanings associated with this are new growth, new beginnings and awakening. 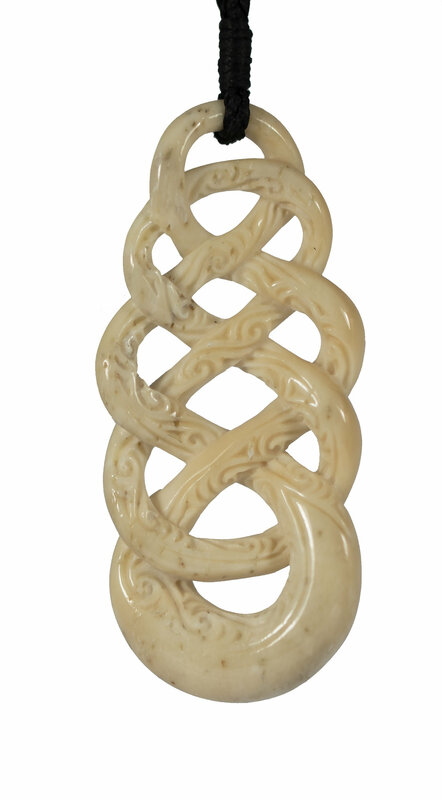 The top of the carving is free from the Koru as this is the unknown potential that we carry within our mind. On another level it also represents the nature and purity of our mind. Overall this carving represents the journey of discovery.